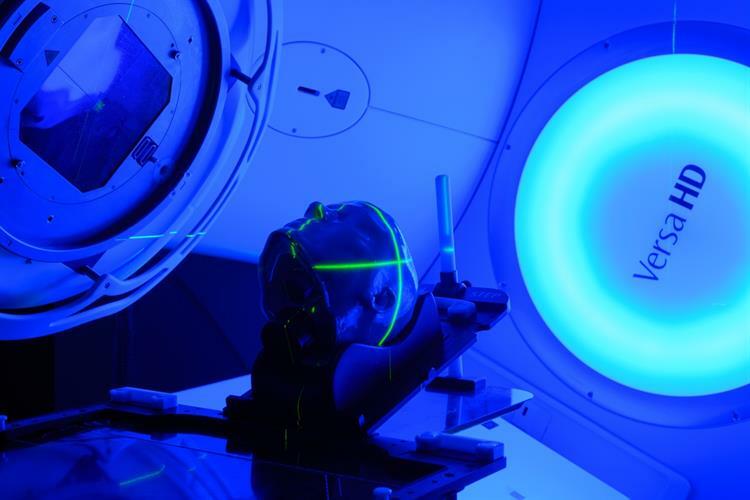 April 11, 2019 -- Stereotactic radiosurgery (SRS) is a high-precision radiotherapy technique that's finding particular value in the treatment of multiple brain metastases. Cranial SRS, however, is also one of the most complex and challenging radiation treatments, and one that many radiotherapy departments don't have the confidence -- or access to sufficient quality assurance (QA) tools -- to implement. A team of medical physicists at the University of West Attica in Athens aims to solve this problem. They have developed an end-to-end QA procedure for cranial SRS, including the creation of patient-specific PseudoPatient phantoms. And in 2014, they established RTsafe to bring their products to the wider radiotherapy community. RTsafe's PseudoPatient phantom enables patient-specific quality assurance of complex cranial stereotactic radiosurgery. Image courtesy of RTsafe. 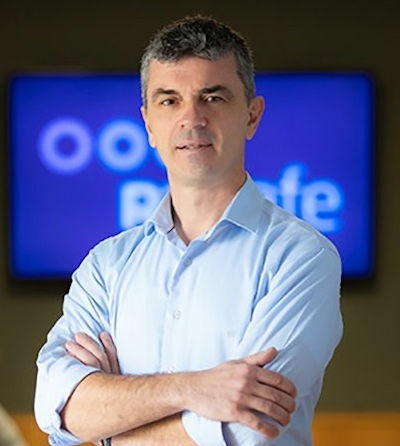 "Our vision is to make cranial SRS a technique that every radiotherapy department, even small departments, are not afraid to adopt," explained Evangelos Pappas, RTsafe's founder and chief scientific officer. "We believe that with our tool, we can make this feasible." Tami Freeman spoke to Pappas to find out more. TF: What was your initial motivation for developing these QA products? EP: While working in the clinic, I realized that the whole physics department had sleepless nights before implementing SRS in the brain. Cranial SRS has two big challenges: the highly demanding dosimetry of small beams, and the geometrical accuracy required for dose deposition. This is one reason why only the major radiotherapy institutions are implementing this technique. I imagined that instead of treating living patients without knowing what's going on inside their brain, we could use a PseudoPatient that interacts with radiation in the same way as human tissue. These phantoms could then be used for training, confidence building, and periodic QA in SRS. What exactly is a PseudoPatient? The idea is to take a patient's planning CT scan, which is anonymized and then transferred to our server, and use this to 3D print a hollow phantom with the patient's specific bone structures and external skin surface. This PseudoPatient can be filled with water and accommodate ion chamber inserts to measure dose at selected points, or film inserts to measure dose on an elected 2D plane. We can also fill the phantom with polymer gels, which inherently provide dose distribution information in 3D for the entire brain volume. We receive all the necessary files containing information regarding the position of the specific patient's tumor and organs at risk. We can then place inserts to accommodate ion chambers at a selected position within the target(s) and in selected organs at risk, such as the brain stem or optic chiasm. All users have to do is fill the phantom with water, place the ion chambers in, and implement the whole treatment. They can then compare ion chamber measurements with corresponding values from the treatment planning system. In a similar way, we can place an insert for 2D film dose measurements at a suitable plane intersecting with target(s) and organs at risk. So what are the target applications? RTsafe aims to meet two main needs. One is commissioning, training, confidence building, and periodic QA. We offer a great tool for training the whole radiotherapy department. For this, they can use arbitrary reference PseudoPatients. The other part is individualized, patient-specific QA. Here, the whole treatment chain, including imaging, setup, image guidance, and treatment delivery, can be implemented using a personalized PseudoPatient. While there is no need for U.S. Food and Drug Administration (FDA) approval for a QA device, it is required for devices involved in patient treatments. And we received 510(k) FDA clearance for our water-filled phantom last year. Are there applications beyond cranial SRS? We have published some papers with Ludwig Maximilians University (LMU) Munich showing that our solution also seems promising for proton therapy QA. When we developed the PseudoPatient, we took into account its potential use in proton therapy. Here, the real challenge is not actually the dosimetry but knowing the proton range uncertainties. The PseudoPatient enables this, not just in a cube of water, but in a truly anatomic replica, also incorporating 3D gel dosimetry. RTsafe just announced a partnership with Elekta. What does this involve? The plan is to promote safe and efficient SRS. Elekta is going to offer its customers the arbitrary PseudoPatient phantom filled with polymer gel, for use in training and system QA. Elekta wants its customers to be well trained, to be confident, and to have an end-to-end QA tool so they can adopt SRS much more easily. Finally, what does RTsafe hope to achieve next? So far, RTsafe has worked with some large institutions, including the University of California, Los Angeles (UCLA); the Royal Marsden; and many universities and radiotherapy departments in Europe, the U.S., and Southeast Asia. These sites were mainly implementing single-isocentric multifocal SRS in the brain, which in my opinion is the most challenging radiotherapy technique that exists. Now we hope to provide our QA products more widely and to smaller institutions. We want to increase volume and decrease prices to make the PseudoPatient phantoms available everywhere. And we'd like each and every patient who receives cranial SRS to experience a personalized QA process. Tami Freeman is the medical and biophysics editor for Physics World.